If you’re planning to run a half marathon in the spring like I am, you’re going to have to train in the cold winter months. If you live in the North like I do, you’re not going to be able to run outside on days when the weather is frigid, snowy, or icy. While it’s important to make sure that you do get a good portion of your training outside, a treadmill can be a great alternative to train in different ways for your half marathon. If it’s February in Ohio and your race is in May in Virginia, the temperatures are going to be drastically different. Since a treadmill is inside, it’s going to mimic the conditions better, as it’s obviously warmer inside than outside in the winter. Plus, it will give you the opportunity to try out different race day outfits since the temperature will be more similar inside to what it will be outside on race day. Another added benefit is that a treadmill can help you deal with the boredom that you’ll encounter during your race, and you can develop ways ahead of time to deal with the mental challenges. 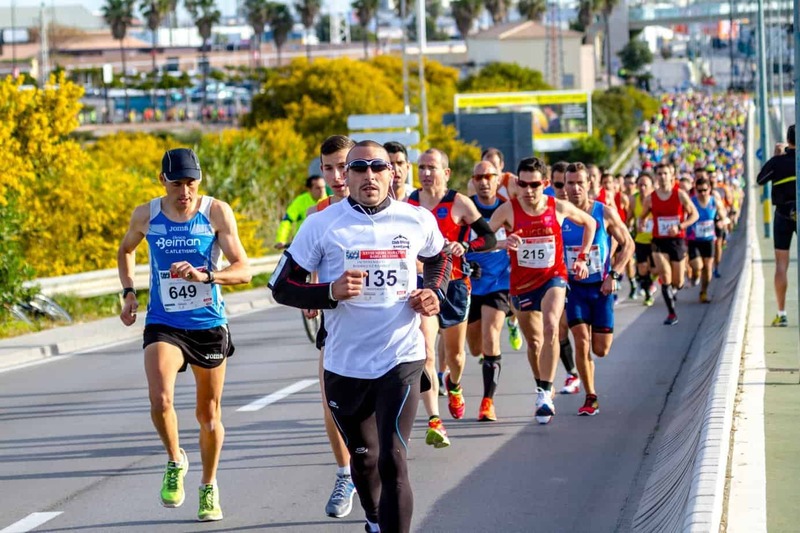 You can even use it near the end of your training to do a full half marathon run, because if you can survive 13.1 miles on a treadmill, you can make it through your race no problem! A treadmill gives you more variety in your training. Even if you live in an area that is pretty flat, you can train for a race that’s going to feature some hills. I’m training in Ohio, where it’s pretty flat, for a May race in Virginia. The treadmill is a great way for me to add inclines and get ready for those hills. At the same time, it’s also a great way to train for flat races, as it can improve your speed. If “speed days” are hard for you, an incline is a great way to work your muscles. That additional strength from running on an incline will convert to speed when the ground is flat. That’s what Kenyan Moses Tanui did in training for his two Boston Marathon wins: he exchanged some speed for an incline, and was able to increase the number and type of muscle fibers recruited, which made him faster. One of the greatest workouts for a treadmill is speed day. Of course, you can do this outside, but it requires more memory and effort on your part. With easy programming or presets, a treadmill does it for you, making it easy to work on increasing your pace. Another side benefit is that a treadmill can help you control your speed more. It is easy to push too hard or to little outside, but this is much harder to do on a treadmill. It helps you focus and makes your tempo consistent, which will be helpful come race day. Injuries are the bane of any runner’s existence, as they can mean not being able to run the race that you’ve been training for. While you still might find yourself with an injury, you can take preventative measures to mitigate the risk. Stretching, warming up and cooling down, and icing your feet are all great options. In the end, you need to use the treadmill to your advantage. Run on the treadmill when it’s 0 degrees and you planned to do your 3 mile run outside. Practice with a slight incline some days, and maybe a steeper incline once a week, if your half marathon is in a hilly area. Use it for speed days. If you can run 3 miles at a 9 minute mile pace, do a speed day where you do 0.25 miles x 4 at a 7:30 minute mile pace alternating with 0.25 miles x 4 at a 9 minute mile pace. 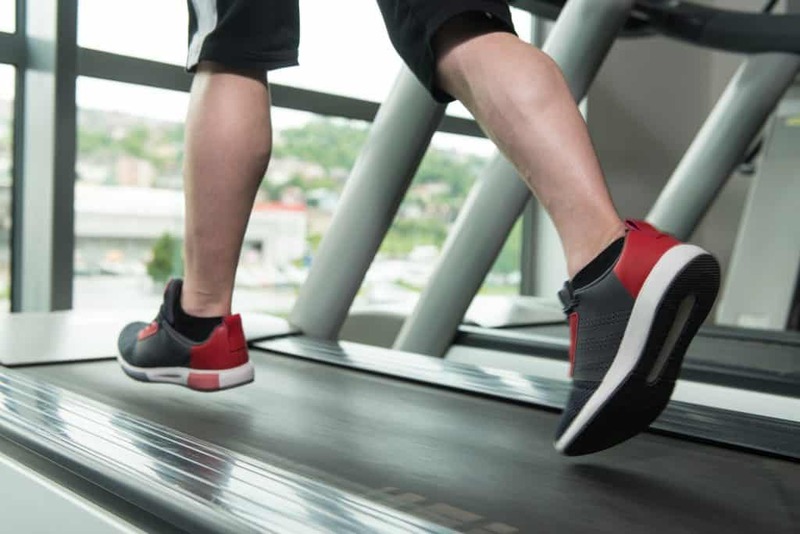 A treadmill is a great way to get variety, so whether you toss in one treadmill workout a week or end up doing all four of your runs one week on the treadmill because it’s so cold, you’ll still reap the benefits. One woman whose website is called Hungry Runner Girl did an entire marathon on a treadmill! So don’t sweat it on the days you can’t run outside. A treadmill will work just fine!